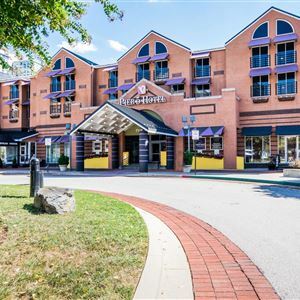 Property Location With a stay at Pier 5 Hotel Baltimore, Curio Collection by Hilton, you'll be centrally located in Baltimore, steps from Pier Six Concert Pavilion and minutes from National Aquarium in Baltimore. This hotel is within close proximity of USS Torsk and Reginald F. Lewis Museum. Rooms Make yourself at home in one of the 66 air-conditioned rooms featuring flat-screen televisions. Complimentary wireless Internet access keeps you connected, and cable programming is available for your entertainment. Private bathrooms with shower/tub combinations feature designer toiletries and hair dryers. Conveniences include phones, as well as safes and desks. Amenities Make use of convenient amenities such as complimentary wireless Internet access, concierge services, and wedding services. Additional features at this hotel include a picnic area and complimentary use of a nearby fitness facility. Guests can catch a ride to nearby destinations on the complimentary area shuttle. 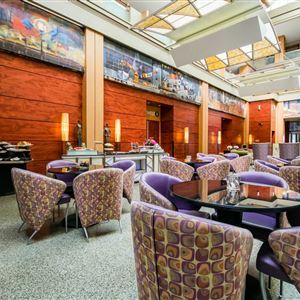 Dining Enjoy a meal at one of the hotel's dining establishments, which include 2 restaurants and a coffee shop/café. From your room, you can also access room service (during limited hours). Quench your thirst with your favorite drink at a bar/lounge. Business, Other Amenities Featured amenities include a business center, express check-out, and complimentary newspapers in the lobby. Self parking (subject to charges) is available onsite. With a stay at Pier 5 Hotel Baltimore, Curio Collection by Hilton, you'll be centrally located in Baltimore, steps from Pier Six Concert Pavilion and minutes from National Aquarium in Baltimore. This hotel is within close proximity of USS Torsk and Reginald F. Lewis Museum. Make yourself at home in one of the 66 air-conditioned rooms featuring flat-screen televisions. Complimentary wireless Internet access keeps you connected, and cable programming is available for your entertainment. Private bathrooms with shower/tub combinations feature designer toiletries and hair dryers. Conveniences include phones, as well as safes and desks. Make use of convenient amenities such as complimentary wireless Internet access, concierge services, and wedding services. Additional features at this hotel include a picnic area and complimentary use of a nearby fitness facility. Guests can catch a ride to nearby destinations on the complimentary area shuttle.